I have an intriquing question and, after searching whole Google, found almost no information. I simply don't know where else to look for answer and so I am asking you. 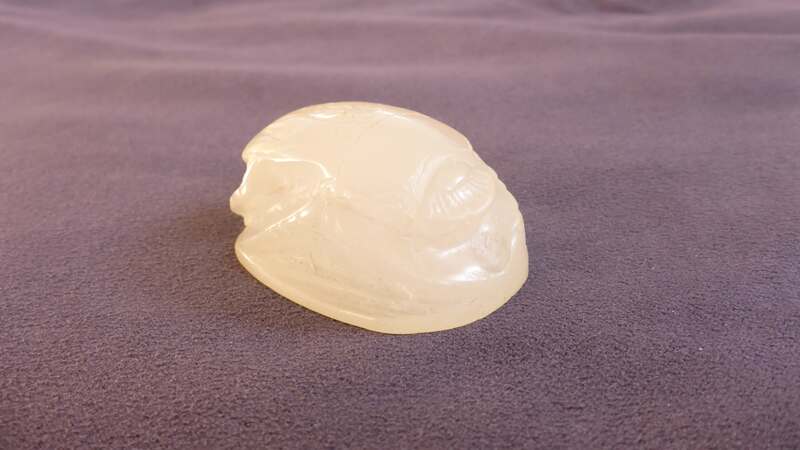 When I was a child, my parents travelled with me to Egypt and there, they bought me a little scarab beetle carved of some stone, about 5 cm long, 2 cm width and height. 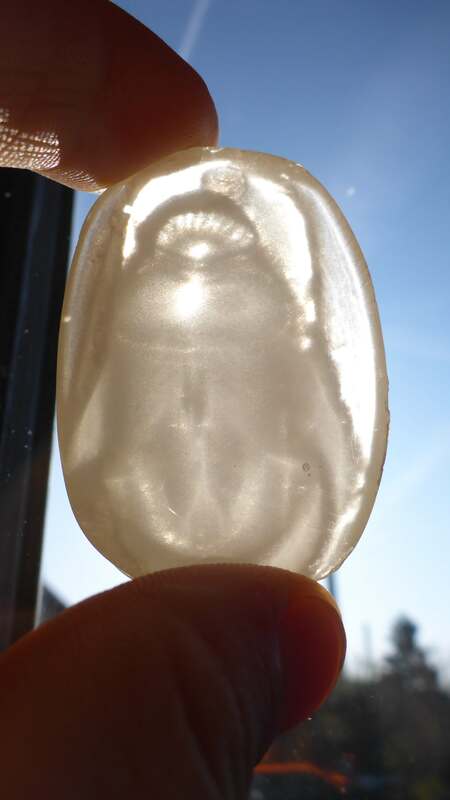 The stone is white-ish and translucent and glows green in dark (for some time). 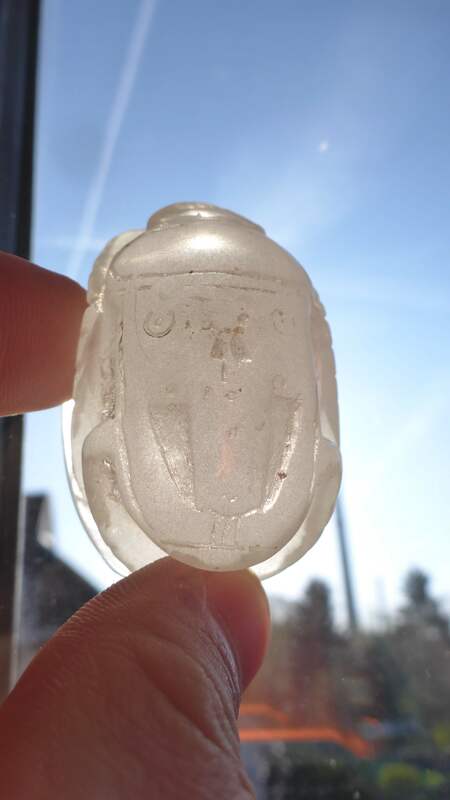 I only remember that it might (just a speculation) have been in Luxor in Alabaster workshop. 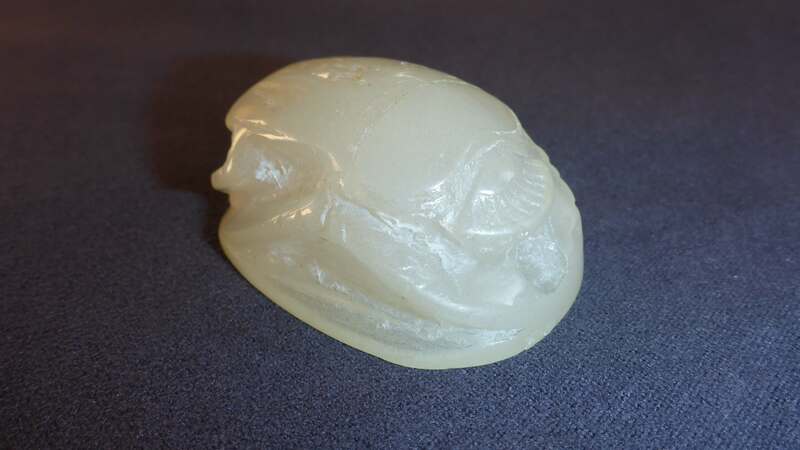 But, according to online sources, Alabaster is not supposed to glow in dark, so what is it then? Can you please tell me? Oh yea, right. Here are some images. 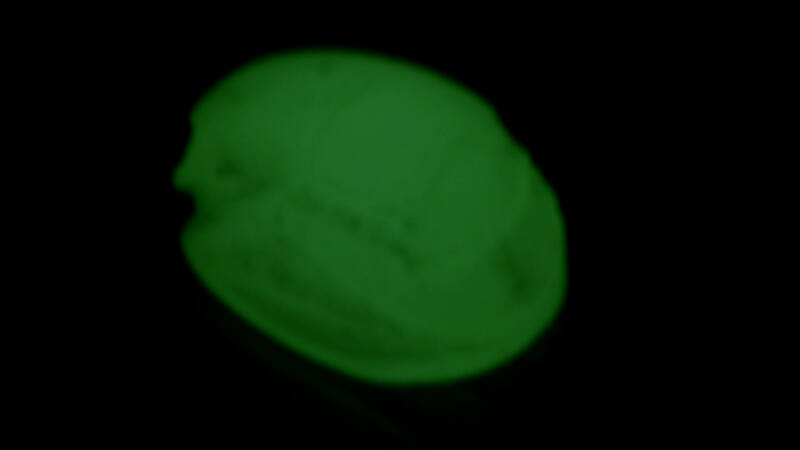 The fluorescence is really weak and doesn't last longer than 5-10min so I am sorry for a bad photo, just couldn't make it better. 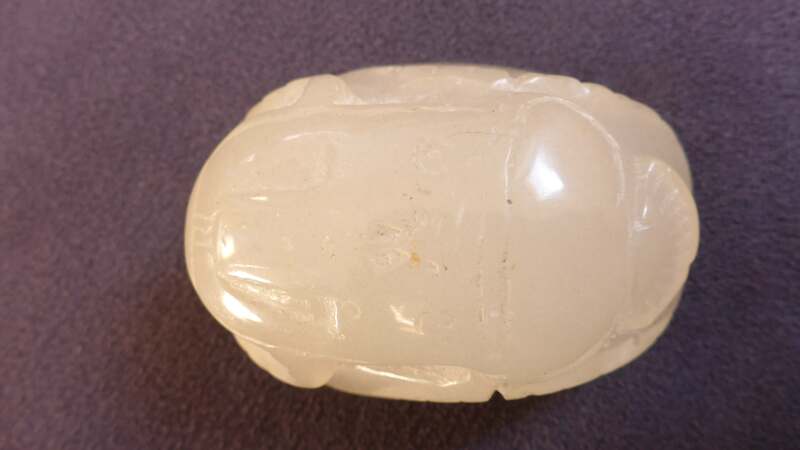 Well, it doesn't look like Fluorite to me(according to Google images) but then again, I'm no mineralogist either so, maybe it's some form of it... what do you think? Your description matches fluorite, you can see many pictures in Internet, and compare with your stone. To determine what it is precisely, you have to post a picture.